Silicon Valley was an idea originated by a Stanford University professor, Dr. Frederick Terman. As an electrical engineering professor and dean at Stanford University, Dr. Terman was hell-bent on keeping the genius ideas of his students local and helping them to find local jobs. He was upset that all the academic talent quickly left California for the east coast to work for companies such as General Electric. He challenged his students to start their own electronic companies, locally, rather than leaving to join established firms in the east. The first students to heed this advice were Dave Packard and Bill Hewlett. In 1938, Dave Packard left his job in New York and headed to Palo Alto in search of a home to rent with his wife that had room for Bill Hewlett and their start-up technology business. Dave chose the Palo Alto home specifically because the garage would be perfect for him and Bill to work and it had a shed where Bill could live in. The 12 by 18 foot detached enclosed garage stands behind a two-story home and was built sometime in the early 20s for the first home’s owner, a physician named Dr. John Spencer. The garage served as a research lab and a development workshop in the early days of Hewlett-Packard. Once the first audio-oscillator, the Model 200A, was developed, the garage became the manufacturing facility. In 1940, Hewlett-Packard needed more space and moved into a larger building. 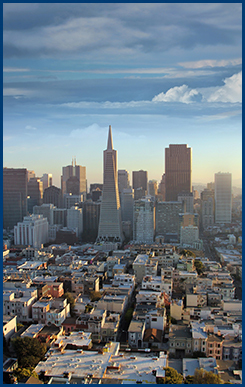 Now, Silicon Valley is the region of San Francisco Bay that is considered the technology hub of the United States. This area is home to a number of large computer companies including Apple, Cisco, Google, HP, Intel, and Oracle; and computer chip manufacturers. In 1989, the garage in Palo Alto was dedicated as the “Birthplace of Silicon Valley” and Dr. Terman was dubbed the “Father of Silicon Valley.” In 2000, HP acquired the property that is home to the infamous garage and began the heritage project to return the garage back to the conditions of 1939. It is highly possible that HP would have been started and grown into the massive industry that it is today, with or without the garage. The garage is a landmark that serves as a reminder of humble beginnings and following dreams. Dr. Terman’s relentless passion to bring technology production to the west coast with Stanford University at the epicenter, creating relationships between the University and technology businesses, was successful because of men like Hewlett and Packard. The garage was just the beginning for Hewlett-Packard, where they only spent 18 months. The garage simply symbolizes where it all started, a reminder of small beginnings leading to great things. For quality, long lasting detached garages, worthy of being memorialized, you can trust Wholesale Direct Carports for all your California garage needs! Contact us for an estimate today!